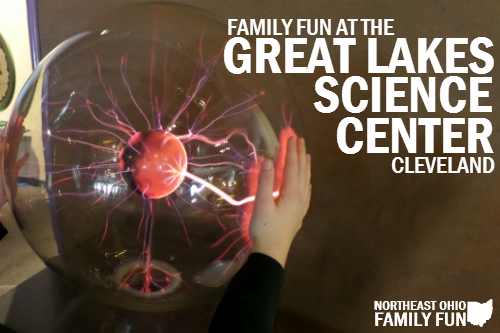 My kids really enjoy science and while my husband and I had been to the Great Lakes Science Center before, we had never gone as a family. Because of that we decided it was about time to visit and had a great time participating in all the hands on activities and experiments. 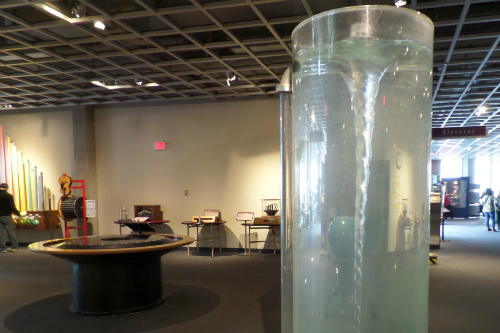 The interactive exhibits where by far our favorite aspect of the science center. While we were there, we built and raced LEGO cars, made parachutes and tested our designs, built a tower out of blocks, generated electricity by riding a bike and learned about sound waves. 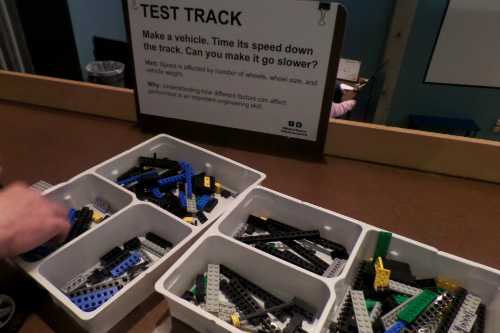 We also made tornadoes (see How to Make a Tornado in a Jar) and clouds, measured the speed of our fast pitch (yes, my 9 year old son can throw faster than I can), and tested our balance and our reaction time. 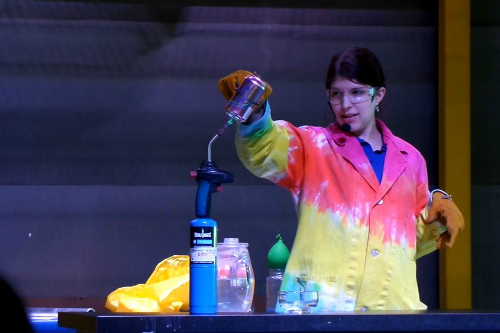 In addition to the hands on activities, we enjoyed watching the science demonstrations. During the demonstrations we learned about science safety and got to see multiple experiments with air pressure, like Crushing Cans and Balloon in a Jar (see similar Egg in a Jar Experiment). Another are we enjoyed was the NASA Glen Research Center. 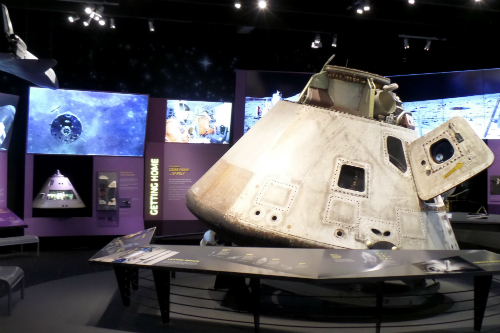 We recently went to the National Museum of the U.S. Air Force in Dayton where we learned a lot about flight and space travel, so seeing the Apollo Command Module and some of the items from John Glenn’s missions. Overall, we had a great time at the center and easily spent four hours having fun and learning.